One of the most overlooked essentials for any healthcare organization is hiring high-quality medical office staff that leave your patients with good first impressions and keep your practice running smoothly. In order to hire the very best staff members for your medical office, you must understand what skills are vital for each position. Additionally, you should learn how to execute a thorough hiring process to ensure long-term success. In the event that you open a new practice or need to replace a medical office staff member, you may be tempted to find someone as quickly as possible. It’s important to take your time and avoid rushing the hiring process so that you can find the right candidate that has the work ethic, skills, and experience necessary to exceed your expectations. By hiring the first person that you interview, you may risk losing patients as result of an unfriendly or incompetent office staff member. You should make it a priority to define each office position prior to searching for candidates. In addition to determining daily responsibilities and educational and experience requirements, you should consider your local market to find someone with special skills that may give your facility a competitive advantage. Once you’ve received some applications that have caught your attention, it will be time to conduct a number of interviews. Thoroughly evaluate each candidate by asking him or her questions regarding skillset, experience level, availability and compensation requirements. You may want to administer computer tests or encourage other office members to get involved with the interview process. A hiring decision should not be made until all of the prospective candidates have been interviewed and you have a good idea of the personality, skills, experience, and availability of each candidate. While it may be time consuming to find the right candidate, you will find that it will be worth it in the end when you hire someone that will be an asset to your practice in the long-run and help you avoid costly turnover. 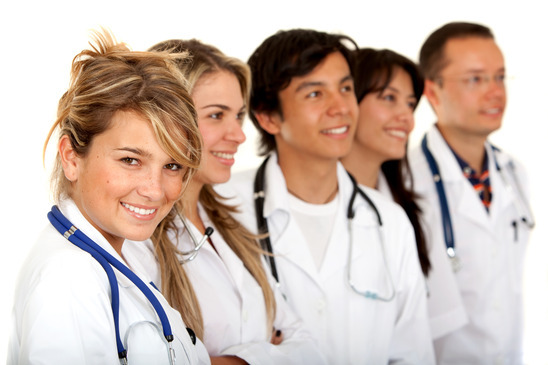 Outsourcing medical practice management services can help you with your hiring needs. At Applied Medical Systems, we offer a variety of medical practice management solutions so that you can spend more time on patient care and less time on the business components of your practice. When you’re looking to hire medical office staff or develop your team, our practice management services can assist. Payroll, employee benefits, human resources and people management, staff development, training, and workflow and efficiency assessment are just a few of our specialities. If you’re interested in learning more about how to hire a successful medical office staff or would like further information on medical practice management, contact Applied Medical Systems today.